Happy Monday everyone! Last week, this amazing romper arrived in the mail and I couldn't help but fall in love with it. It looks so much better than the pictures and it's available in black! This is probably one of the most unique rompers that I own since I never see too many rompers with sheer/lace sleeves like this. It can be dressed both up and down depending on the occasion. I decided to dress it up with these t-strap heels and my trusty crossbody that perfectly matches it. 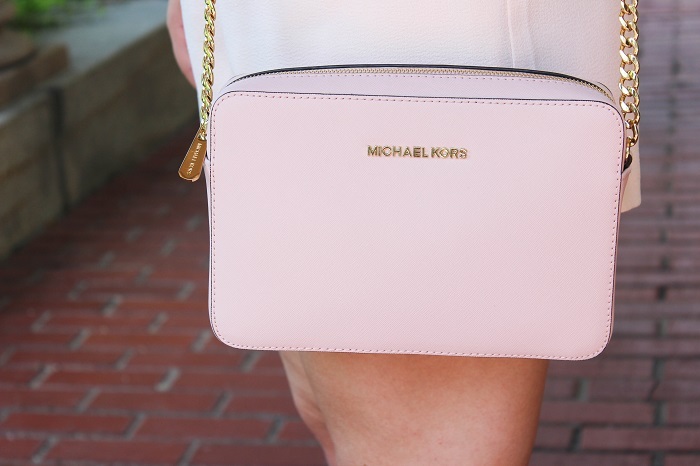 It's such a delicate and feminine look that's perfect for any girly-girl out there. I love this outfit! perfect for the end of summer! Your watch and shoes are perfect! I love the blush color. It's so girly and beautiful! The watch really looks lovely with it. Love the monochromatic color scheme! You look great. I'm obsessed with that bag! I've been loving blush pink lately! 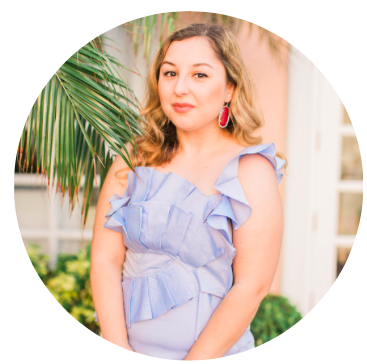 I love the color blush -- and this romper looks so good on you! Love everything blush pink and this romper is perfect! Those shoes are so cute-swoon! I just got the same beautiful watch. Looks great with blush color! Love that romper on you! 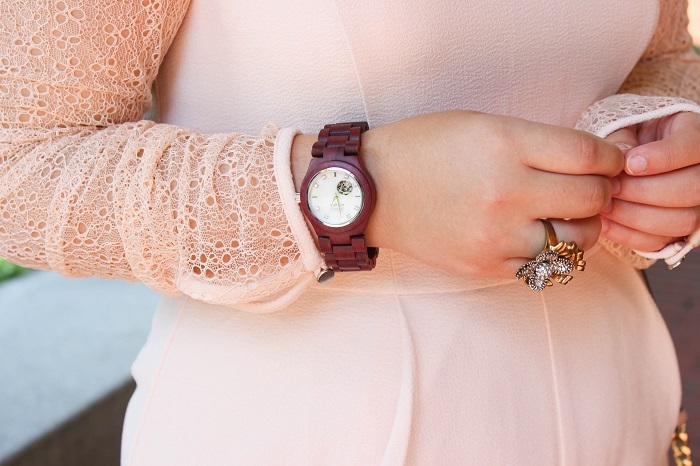 I wouldn't have thought about pairing maroon and blush together, but I love how you did it here. You look great in that romper! I haven't heard of a wooden watch before, but I love how this looks. Ah! Such a beautiful color palette! I love! I love how gorgeous this whole outfit is!!! I love that bag! Wow love the romper! So perfectly paired with that purse. You look SO STUNNING in that color! Wow! The pop of maroon is awesome. All of the neutral tones look so great together, and I love you lip color! This romper is incredible, and it made me so happy that it's from Forever 21. I need to go there ASAP! And that purse is the perfect compliment to it. I am loving this romper! 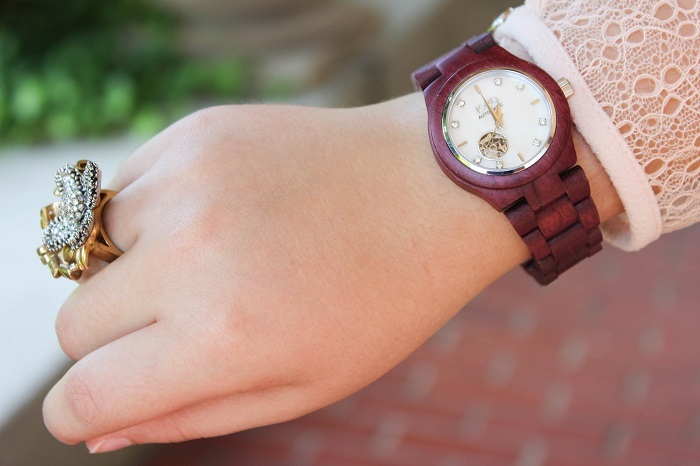 It's perfect paired with that bag and the maroon watch adds a fun pop of color! 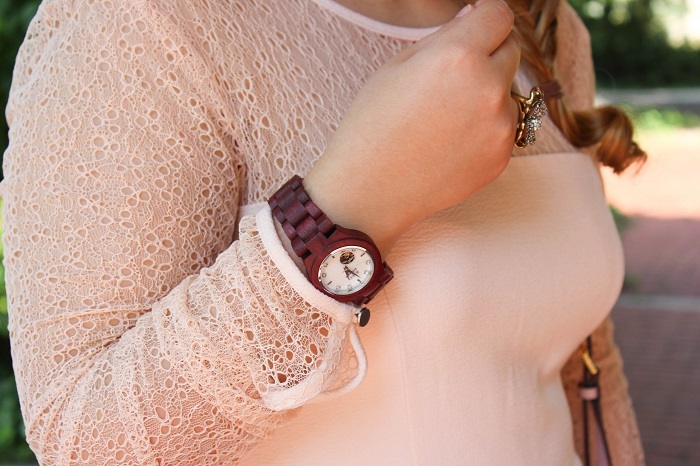 The lace on that romper is too gorgeous - I've never heard of wood watches before now either but I will definitely have to check them out! Such a cute outfit and so obsessed with that bag!! you are a vision in that dress!! Your watch and bag a stunning! I love the mix of soft and edgy in this post! That romper is so pretty! I love the color in the watch, too. Jord watches are absolutely gorgeous! That pink is so pretty! Love the watch--can't get enough of Jord; I want all the styles! aw adorable romper! Love the blush color! I love this color and this romper a ton! Definitely one of my favorite outfits this week! Such a great outfit! I <3 rompers!